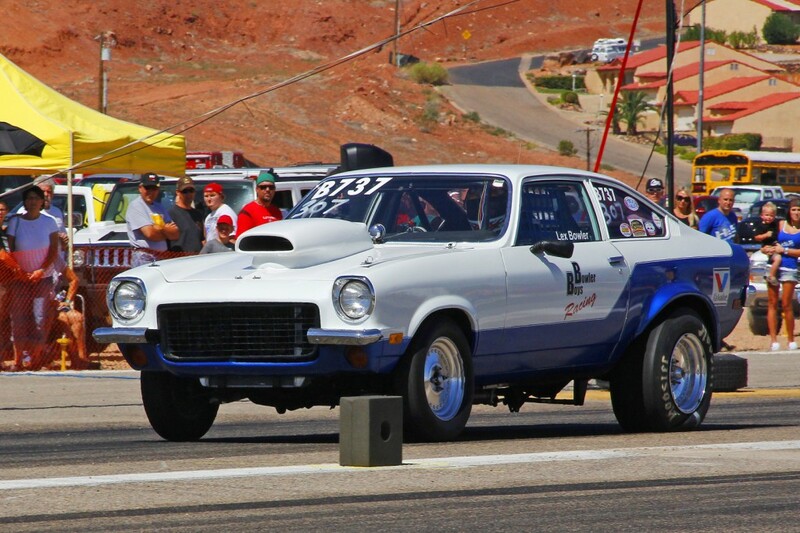 ST. GEORGE – Racing kicked off on both Saturday and Sunday morning this weekend at the BlackRock Motorsports Drag Races held at the old airport on South Airport Drive overlooking downtown St. George. 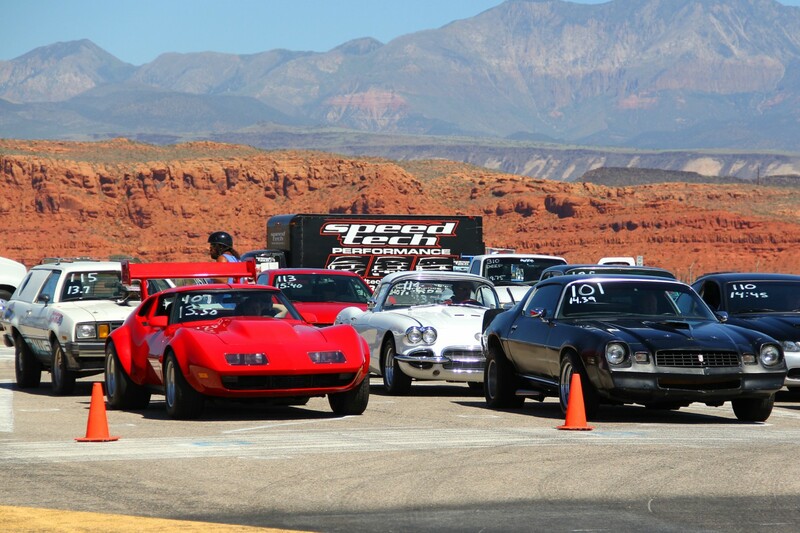 Over 400 spectators watched nearly 50 racers blast down the 1320 (race jargon for a 1/4 mile drag strip). 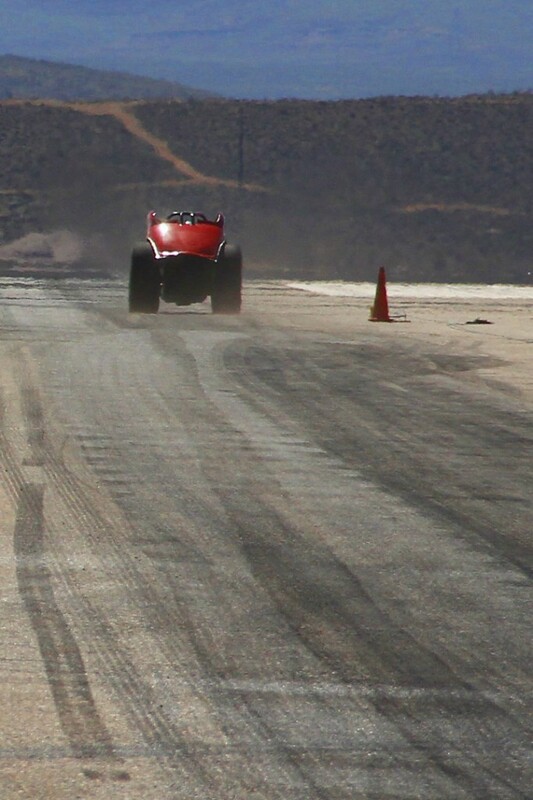 Action began at 9 a.m. on Saturday with time trials. 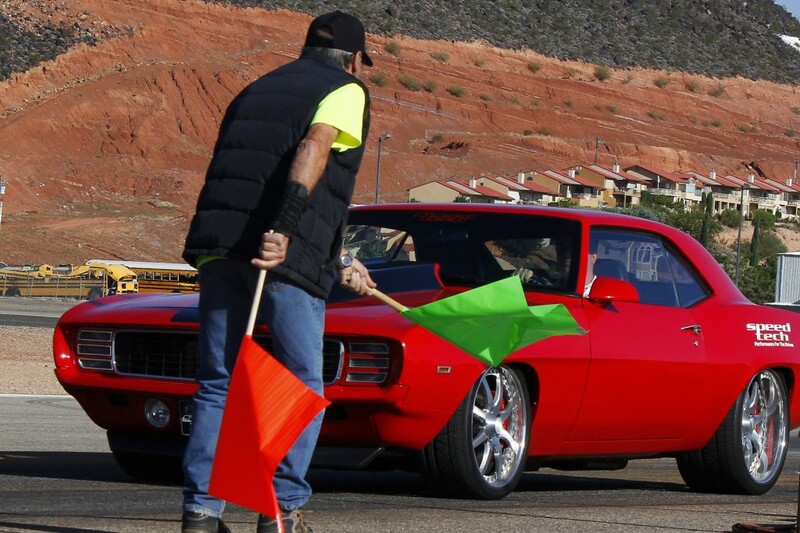 Eliminations started around 1 p.m. Sunday’s “Old School” arm-drop and grudge matches started around 1 p.m. Strong winds made for a bit of a delay while track conditions were closely monitored. Morning winds and a rogue threat of afternoon showers hampered Sunday’s racing. 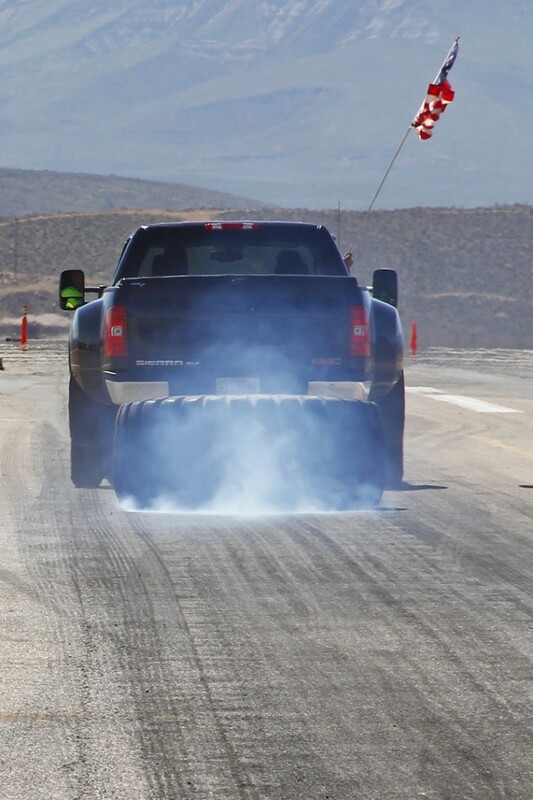 There have been a few drag race events at the old airport on the bluff in the past year or so, but this is the first event put on by BlackRock Motorsports. 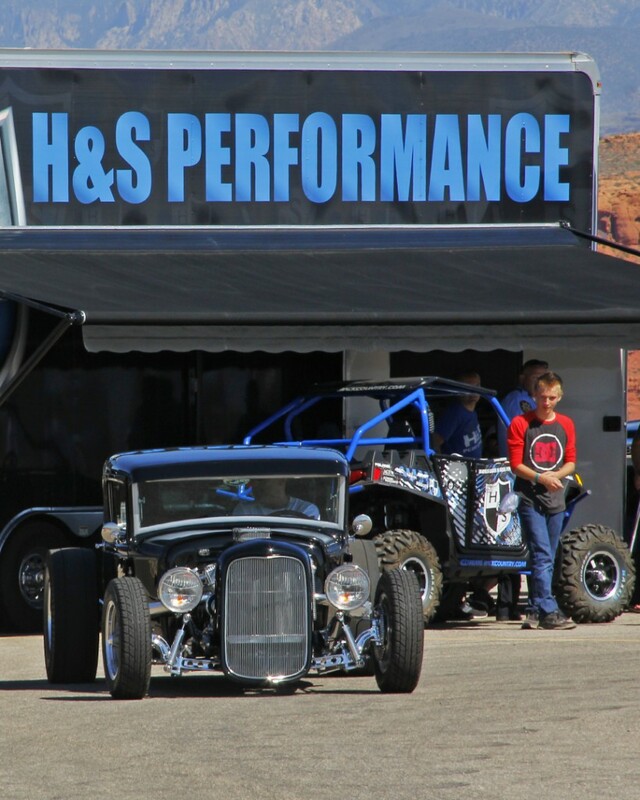 After a perfect storm of unfortunate events, including the tragic loss of one of the original organizers, Thomas Seal, BlackRock Motorsports was created to carry on drag racing in St. George. 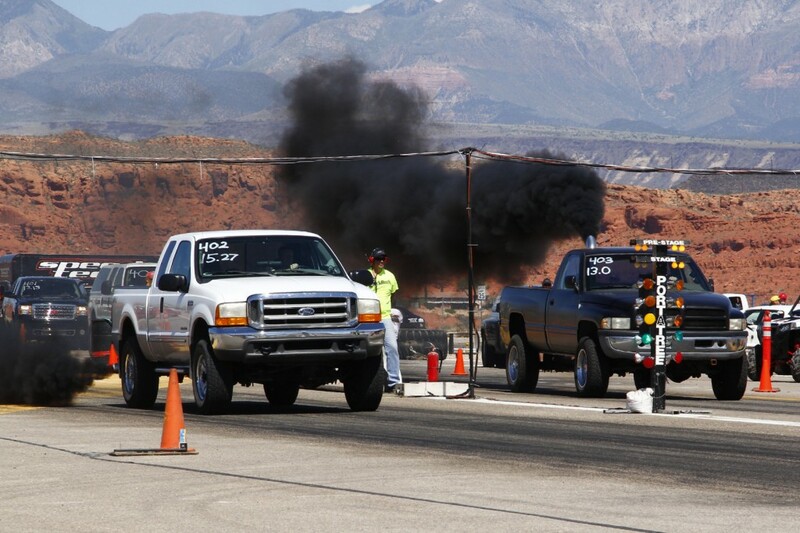 Andy Callahan, Jason Hall, Jeremy Davies and Blake Foster gathered together at a meeting and formed a plan to forge ahead to keep drag racing alive in St. George. Tom Van Der Ahe was instrumental in making it all happen. 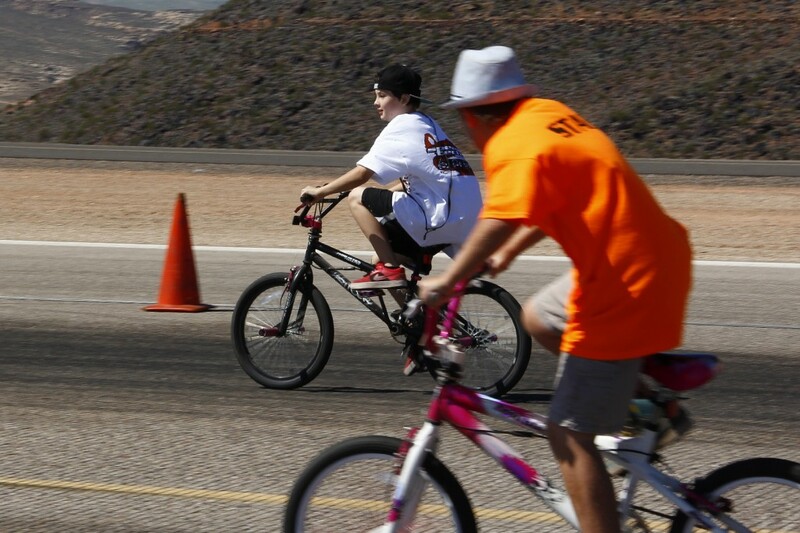 About a dozen kids paired up on bicycles provided by BlackRock Motorsports to race on the drag strip. Fans lined the safety fence to cheer on their favorite car or driver. 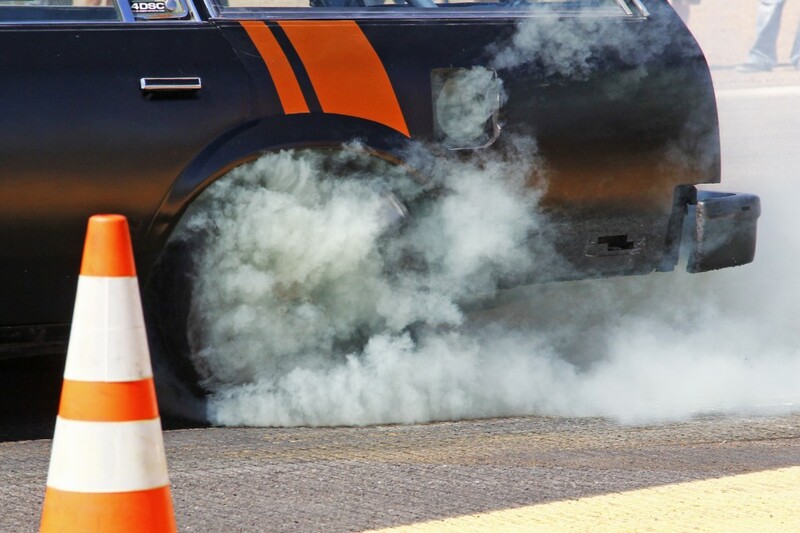 And it made no difference what you brought to race – be it your SUV, motorcycle, diesel pickup truck, muscle car or economy grocery – all were welcome to race. 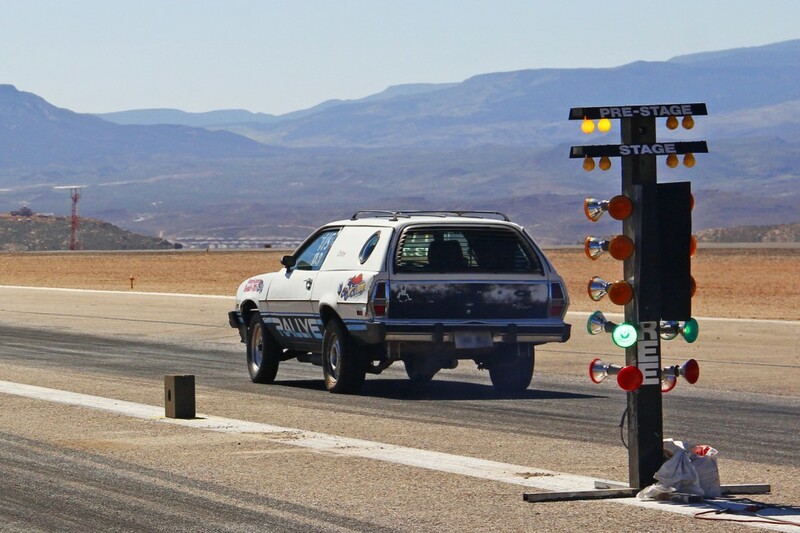 “The best part about all of this,” Roger Robinson said, “is that you can find out how fast your car really is and not worry about getting a ticket.” And, it’s “the cheapest way to go racing and the best way to challenge your friends to a grudge match,” he said. 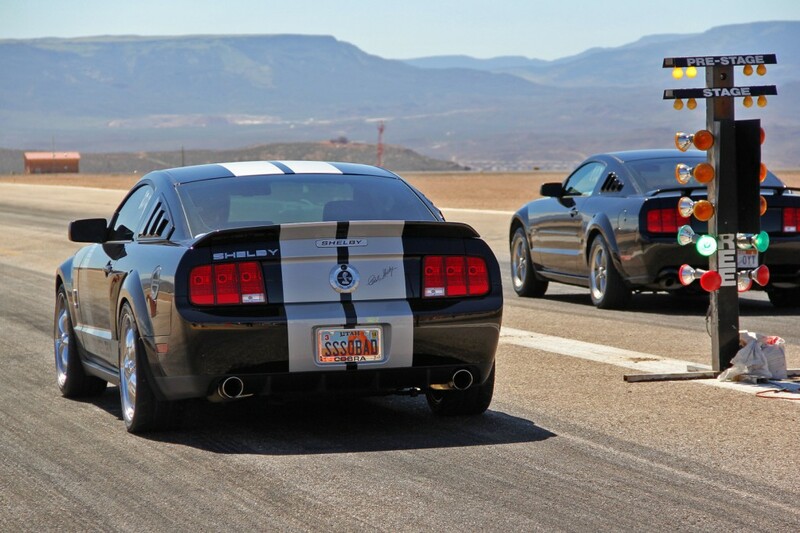 Murphy and Clutch, the morning radio hosts of 95.9 The Hawk, joined the competition with a grudge match race. Clutch won the race and the bragging rights for now. Great fun was had by all. 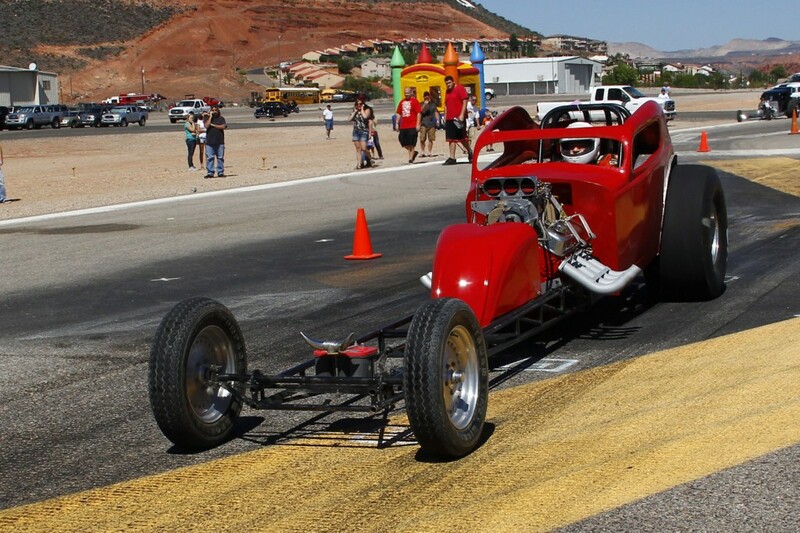 The next race is scheduled for Nov. 23-24 with a car show and swap meet being planned as part of the event. 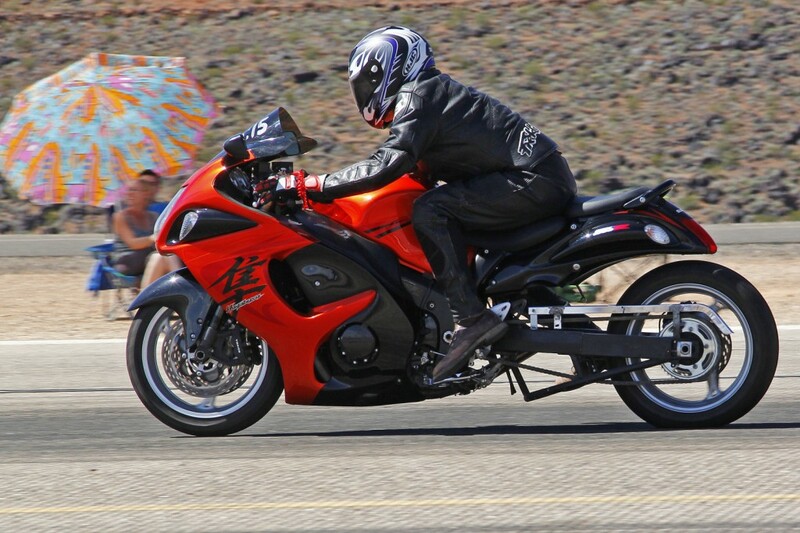 Watch for updates on stgNEWS.com for future BlackRock Motorsports events. Click on photo to enlarge it, then use your left-right arrow keys to cycle through the gallery. Racing results follow the photos. 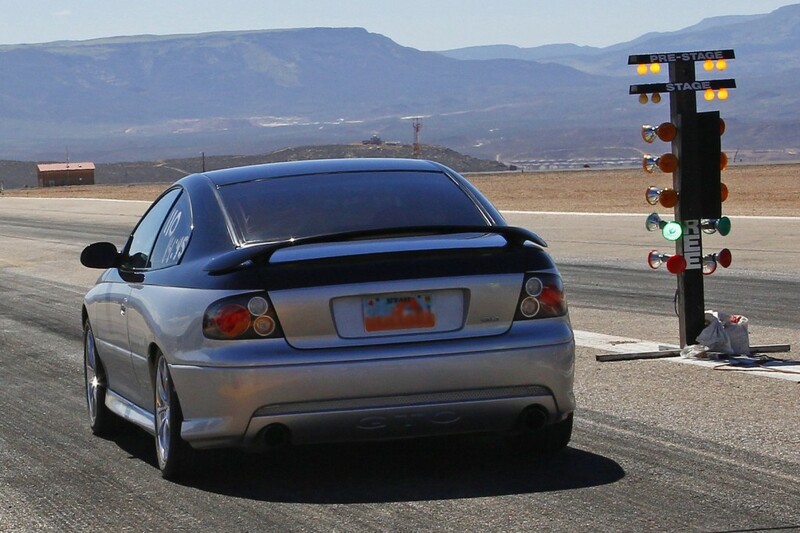 Hey just thought I would let u guess no u guys have some wrong info im the driver of the blue car n its not a sti its a 2000 honda civic si……..
“Great fun was had by all” is a phrase that should never appear outside of a church newsletter. As I recall, avoiding that phrase was one of the first things taught to students in Journalism 101. Looks like the event was fun, though. 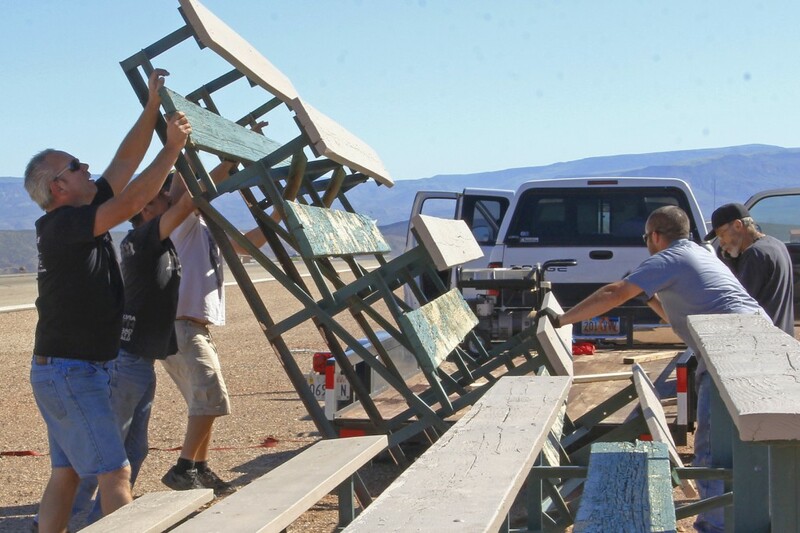 Just want to compliment the event coordinators/sponsors and all the work that took place to get this event back to St. George. There is lots of like interests to be tapped into here in Southern Utah. The Key to getting this going again, is to get the word out by any means and people will come to it. 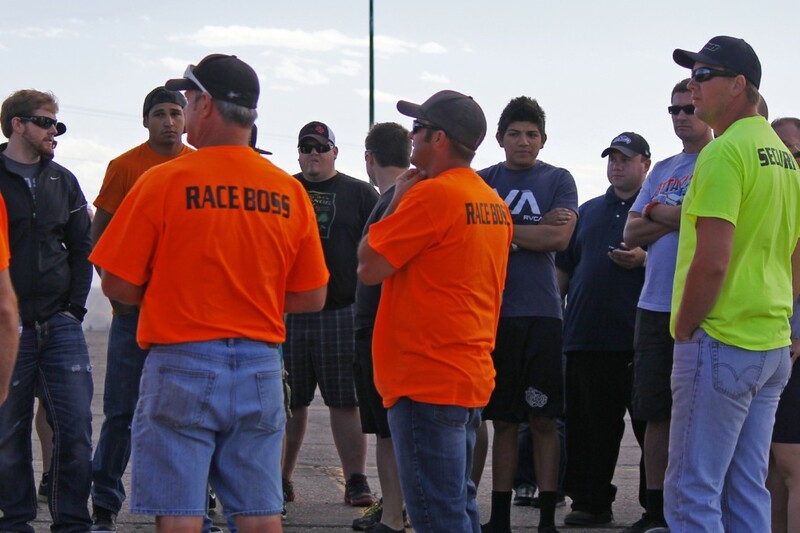 There is lots of us Racers just looking for a place to run our cars/trucks/bikes. 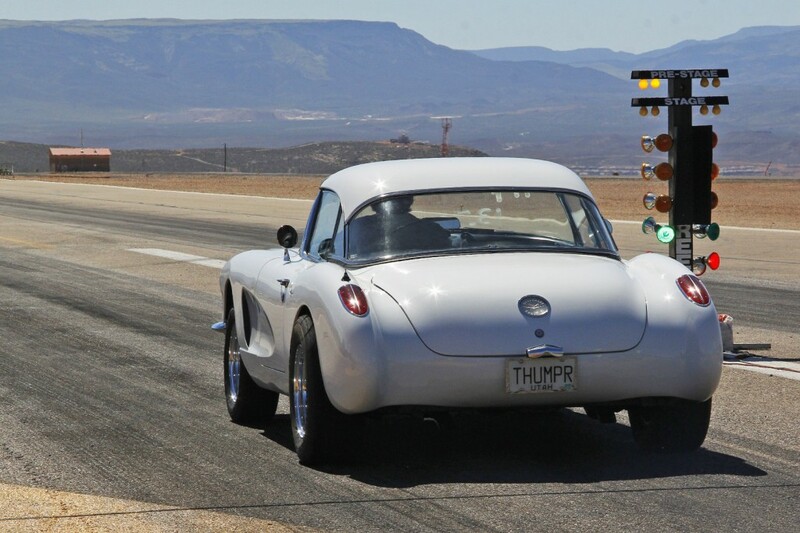 Thanks to John for the interview and the great pics of all of our cars. Keep it going and Thanks again for all the efforts, had a great and fun time.. 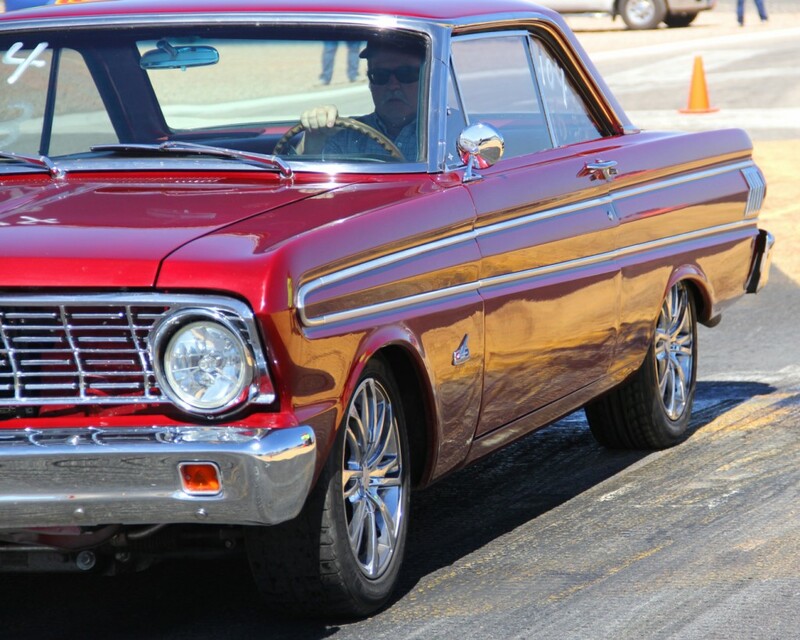 I had a blast running my car! Everyone tell your friends so we can get more and more cars out. Thanks to the folks of BlackRock for all the hard work in making this happen for us. It was great to go racing again! 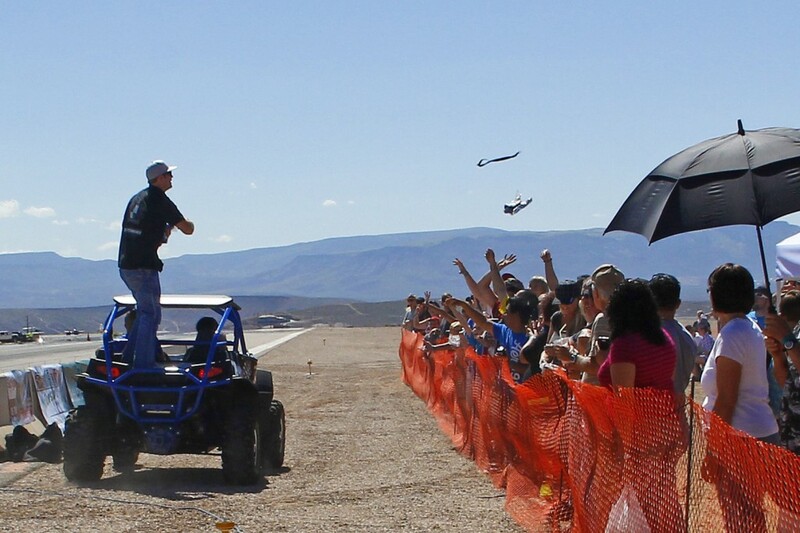 I would like to thank all that supported this event, The Racers and Spectators were great!! The event sponsors really helped make it a success also. the races went off with no major problems, thanks to the hard work of the organizers and volunteers.